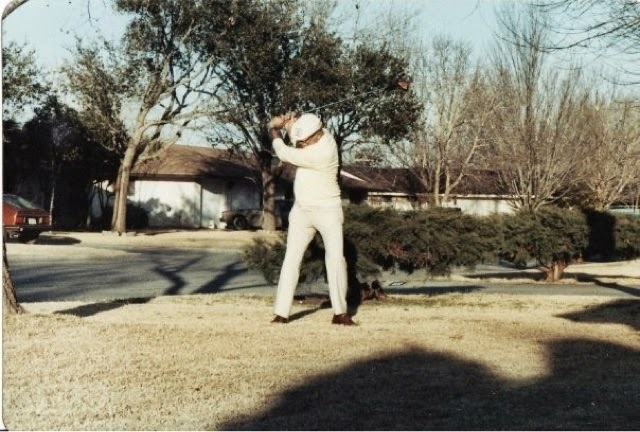 I learned a great deal about life and golf from my father, the Colonel. He was a great guy who loved life and loved golf. Crippled with a bad back and hips, in his later years he really struggled to manage to get around the course. But he kept at it until he literally just couldn't do it anymore. To the end, he couldn't wait for the next day to dawn so he could get out there again and try to figure it out. No matter how much pain he was in, he just lived to play golf. There are days now, particularly when my back is really bad, when I look in the mirror and it's as though my father were staring back at me. I've come to look so much like him. I just wish I'd inherited a bit more of his intelligence. 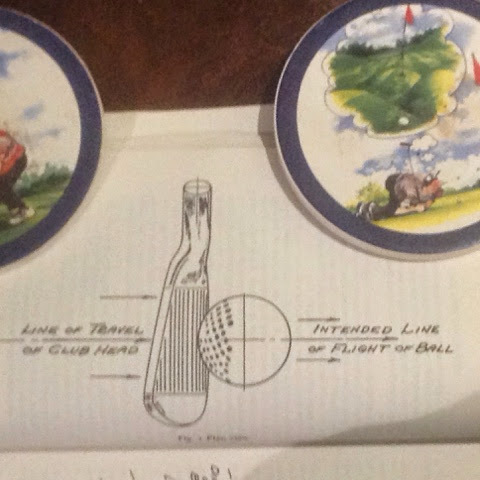 But the Colonel passed at least one good thing on to me: a love for the game of golf. For that, among so many other things, I am truly grateful to him. Shortly before he died, my father told me I should never feel sorry for him. He assured me that he had lived a very happy life and he had no regrets. Imagine being able to say you had no regrets. That's the sort of life he led. For me, my life has been a litany of mistakes and regrets. But, I suppose all you can do is learn from your mistakes and try to not repeat them. I think one of the best things my father taught me was tolerance. Not that I learned it quickly, or easily, but I eventually came to learn it from him. He once said to me, "Most people are just trying to get through this life the best way they know how. They're just trying to do the best they can with what they've got to work with." At the time, when I viewed the world as being black and white, I thought this was a rather naive world view. But, I've come realize that the old Colonel was right. There are some evil people who really need killing. And there are some truly saintly people. But the majority of us are just trying to do the best we can with what we've got to work with. I think that's about all anyone can be expected to do in life. And, actually, I guess that's about all we can do in golf as well. Just do the best we can with what we've got to work with. Thanks, Pops. You were one smart dude. I sure miss you.